Exhibition catalogue from the Morris and Helen Belkin Art Gallery (8 October–19 December 1999). Texts by Michael Morris, Sharla Sava, Peter Schuyff, Muffet Jones. Often credited as the instigator of “mail art,” Ray Johnson (1927-95) was a foundational example for the Canadian avant-garde in the late 1960s to the early 1970s. Johnson’s elliptical puns and promotion of confused identity act as the master template for many of the self-constructed artistic mythologies of this time. 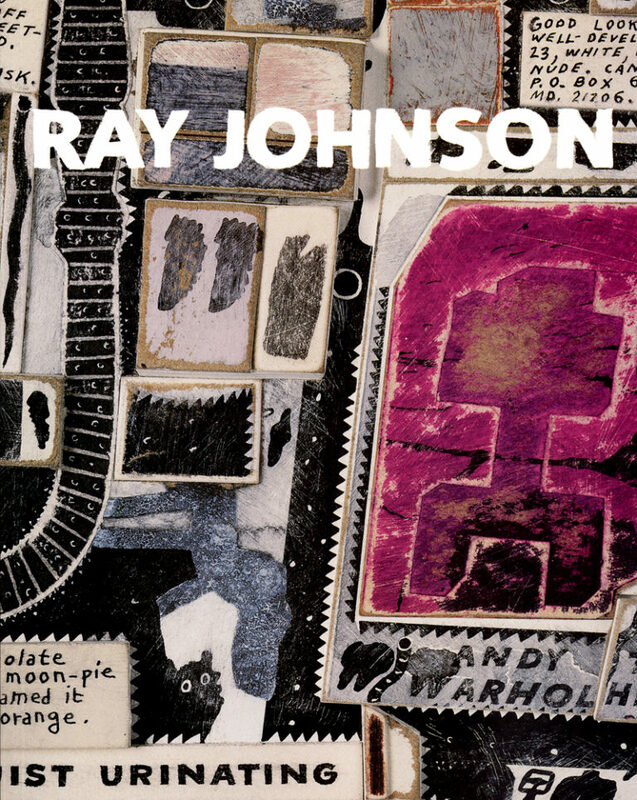 Ray Johnson has never been presented in terms which allow for an understanding of his work as a significant contribution to artistic dialogues about masculinity, homosexuality and celebrity culture. The show investigates Johnson’s imagination of mass culture, theories of symbolic exchange, his gay subjectivity, his role as a “Pop” artist, and his relation to Andy Warhol. His mail-network identity, clubs, events, etc. foresee aspects of today’s cyberculture and Johnson is being increasingly recognized as such.